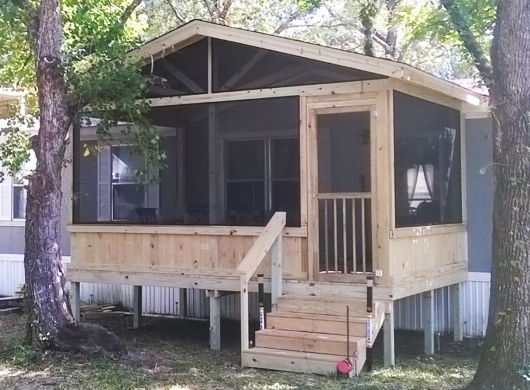 Fully enclosed construction to keep out unwanted pests. Premium, treated tongue and groove floorboards available as an upgrade. Spacious, open feel and vista views made possible by Screeneze technology. Better price, higher quality, and more features than the competition. We use a standard wood screen door that matches the wood screen-in option well, but if you are looking for a door that can hold up to years of exceptional abuse, then ask our screen porch contractors about our ultimate screen door upgrade! Our beautiful handcrafted custom screen doors will withstand years of children, pets, and everyday heavy activity. These are fantastic screen doors to complement your custom screen room. 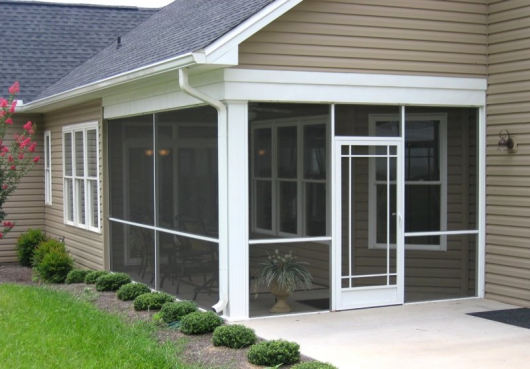 Contact us now to request a quote for your screen porch construction needs.